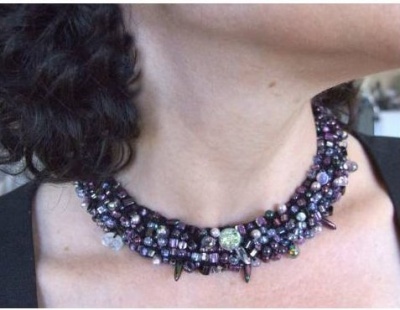 A truly lovely and comfortable neckpiece, knit to match our Bead Stew bracelets. A glowing creation to enhance and embellish. Sivia was inspired by the Moonrise on Neptune Bead Stew bracelet she knit from our kit. She wanted to make a necklace to match -- and had a few ideas of her own. And when Sivia has a few ideas of her own, they grow and expand into something pretty darn phenomenol. So here is the Moonrise Neckpiece -- available in a vast array of colorways, not "just" the Moonrise mix. "... I really wanted an exact match to the densely beaded look of the bracelet. So here is what I did... I made my neckpiece sideways, exactly like the bracelet, and with the same number of cast on stitches..."
Basically it took off from there, and with the magical use of short rows, Sivia created a neckpiece which forms a true circle around one's neck. 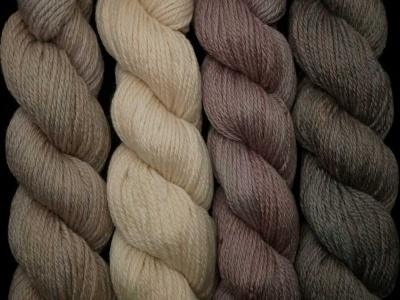 On Sivia's suggestion, we are going to fill all of these kits using silk thread unless you specify differently. The alternate choice is Tapestry Braid #12 from Kreinik. This is a metallic polyester braid and comes in a large range of colors. It is definitely not as nice next to the skin as the silk but it softens with use and keeps its shape very well. For a metallic look, like gold or silver, there is no equal -- they look wonderful. If you would prefer the metallic look over the silk, let us know as you check out using the "Comments" section. Otherwise we will simply enclose the silk thread that looks best with the bead mix that is with your kit. In your kit you will get enough thread and bead mix for a sizable necklace(about 20") plus a clasp to blend well with the colorway chosen. You'll also find a dental floss threader to allow you to string your beads onto the thread with ease. The only thing in addition you will need are the knitting needles. We suggest size 0/ 2mm (or the size to get the gauge which you find pleasing). The bead sets included in this kit are replicated from the Bead Stew Bracelets on our site. They are simple Bead Stew mixes, the beads being 8/0s, 6/0s, 5/0 triangles, 4x4 cubes, megatamas, some tear drops and daggers; all depending on what we have in stock and what goes together well. We are listing some colorways in the drop-down menu, but feel free to request your own special color ideas as a Custom kit -- just let us know via the "Comments" section as you check out. The majority of these colorways are designed to match the Bead Stew Bracelets and are described in more detail on their web pages. The first photo on this page shows Moonrise on Neptune. Here is a play on purples with all sorts of nuances of that color plus moon faces in matte crystal AB. Here you can see the general overall colors of Rock Candy. Golds and browns in rich tones come together with small moon faces in brown/gold. And here the colors of Black & White, blacks and whites forming a wonderful neutral. 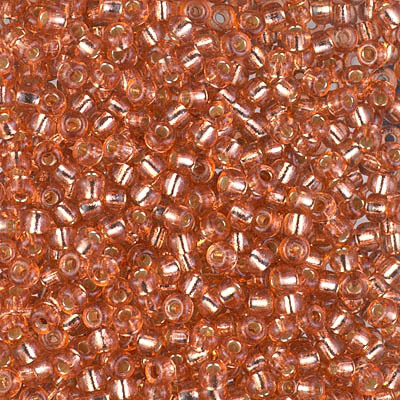 And here the colors of Magentas, as many beads as we currently can find in this general color range. This is what we aim for in Raspberry Fields Forever. This is predominantly raspberry and rose beads blended with pearls and whites. And here MoonFlowers, with crystals and silvers and subtle highlights together with wonderful little moon faces. Fire Walk With Me is no longer a separate bead stew bracelet. Think fiery colors, with reds and golds and oranges and black on a golden thread. If you look at Deep Forest you will see the play on greens and browns and golds that is a major part of this, plus lots of leaf-shaped beads. Random means just that; you will get a mix of our choosing. And Custom means you should tell us what you envision, what colors you want. If you would prefer a more dramatic piece with larger focal beads and crystals included, take a look at our wonderful Variations Necklaces on these web pages. I know some of you might already have made other necklaces that are made along the same lines, the only real changes being the beads and the colors. If you feel you do not need another pattern, simply choose "No Pattern Needed." Tremendous fun and truly gorgeous.